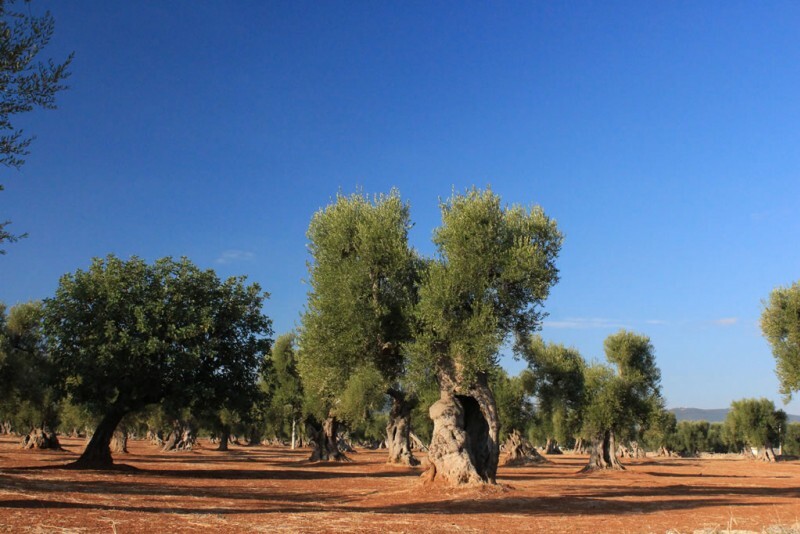 With their branches towards the sky as if they were arms, the olive trees are the silent guardians of Puglia that for centuries generously give us their treasure. Once used to massage Olympic athletes, anoint kings, perfume pharaohs and fill ancient coffers, it still enhances every food, with an aroma that is soaked in history. That treasure that was called elaion by the Greeks and oleum in Latin and is, for all Mediterranean peoples, the olive. There is something magic about coming upon these millenary olive trees: they cloak gentle hills and their slopes down to the sea, they form woods that still give us the sensation of being able to go back in time, to soak up the history, to dive into an eternal landscape which has remained intact over the centuries. Many masserie stand out amidst the foliage of these olive trees: imposing buildings, which began to be built in the 16th century as towers to defend the underlying olive mills where the real wealth of this territory, the olive oil, was produced. Surrounded by 2500 years old olive trees, this tasting-lesson tour in a typical Masseria and its mill is an opportunity to admire, taste and understand the characteristics of this authentic liquid gold.